The University of Arizona College of Medicine - Tucson offers full four-year medical education programs. Partnering with hospitals, clinics and other affiliates statewide, the college offers a rich, hands-on experience for medical students on the path to becoming health-care professionals. Research concentrations include cancer, cardiovascular disease and diabetes, neurological disorders and biomedical imaging, among others. Research programs in both the clinical and basic science departments and in the multidisciplinary centers promote collaborative research across the college, the University and throughout the state of Arizona. 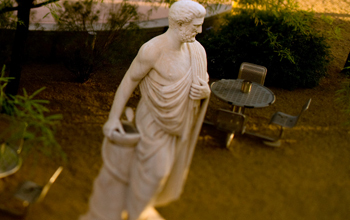 Nine renowned education and research Centers of Excellence, including the Arizona Arthritis Center, Arizona Center on Aging, Arizona Center for Integrative Medicine, Arizona Emergency Medicine Research Center, Arizona Hispanic Center of Excellence, Arizona Respiratory Center, Steele Children’s Research Center, UA Sarver Heart Center, Valley Fever Center for Excellence.